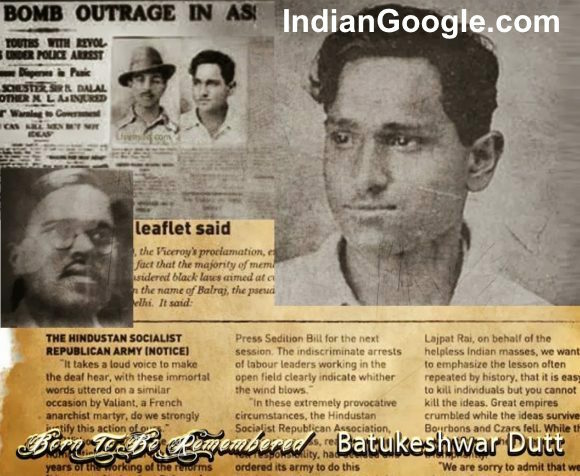 An Indian revolutionary and freedom fighter, Batukeshwar Dutt was born on 18 November 1910 in Cawnpore, British India. 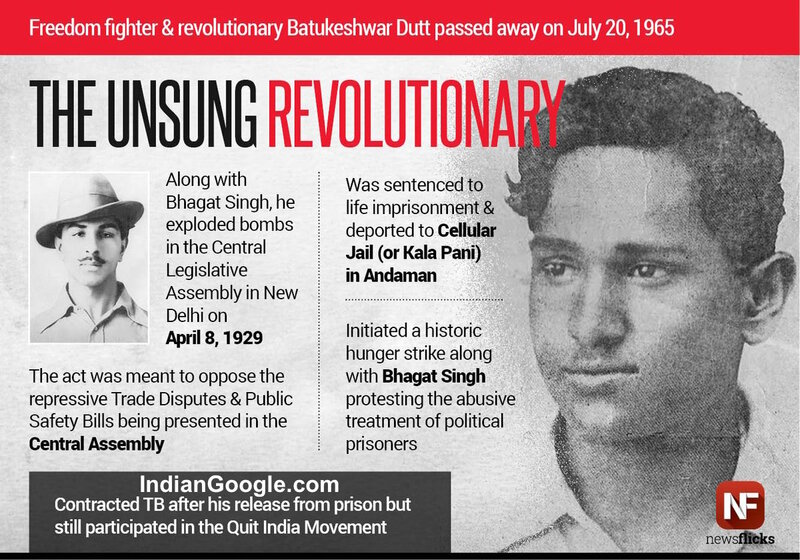 He is well known for having exploded few bombs with another famous revolutionary Bhagat Singh in the Central Legislative Assembly on New Delhi on 8 April 1929. He and Bhagat Singh got arrested and were under trail. After that they were imprisoned for life where they initiated a historic hunger strike in the prison to protest against the abusive and inhuman behaviour of the British officials towards the Indian political prisoners. 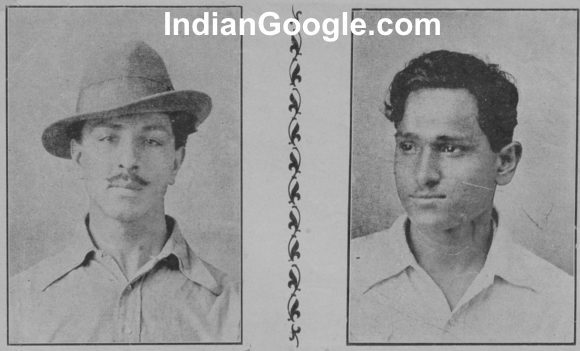 You can see Batukeshwer Dutt images with Bhagat Singh protesting in the prison. His protest secured some rights for the Indian prisoners in British jails and he was one of the members of the Hindustan Socialist Republican Association. He was also known as Battu, B. K. Dutt and Mohan. 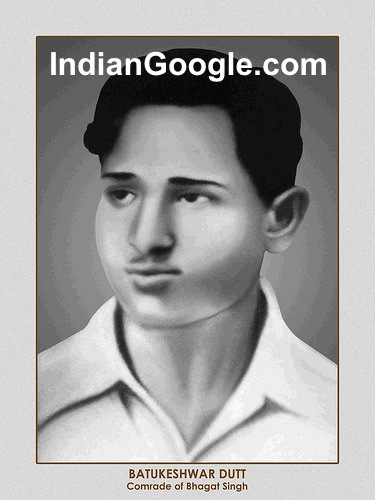 He was the son of Gostha Bihari Dutt and was born in Oari in Burdwan district or Cawnpore. 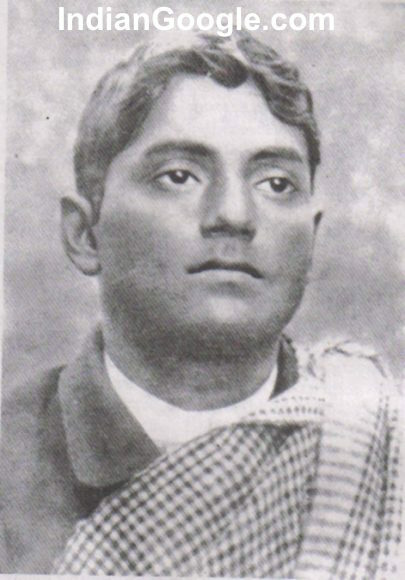 He completed his graduation from P. P. N. High School in Cawnpore and was a close associate of Chandrasekhar Azad, another renowned freedom fighter. He met Azad in Cawnpore in 1924. 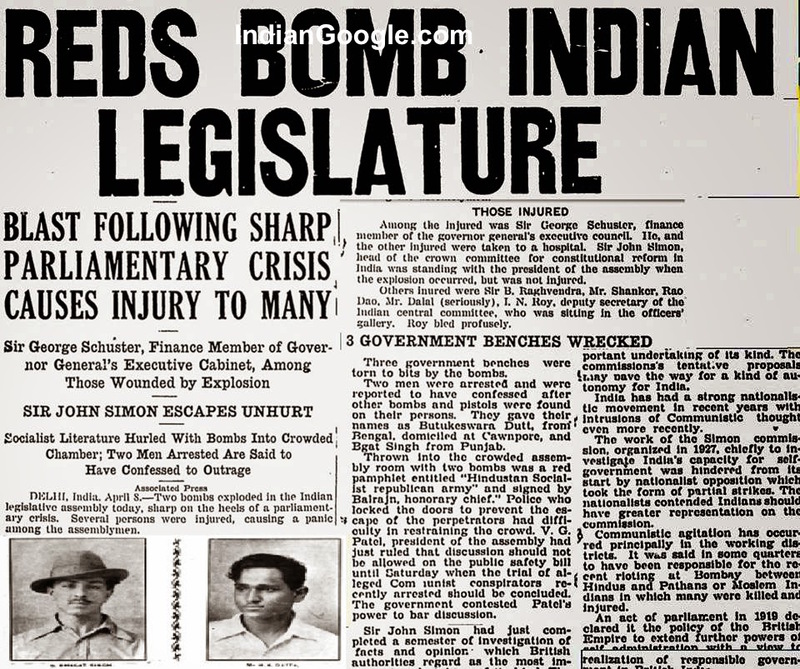 While working for Hindustan Socialist Republican Association, Dutt learned bomb making. 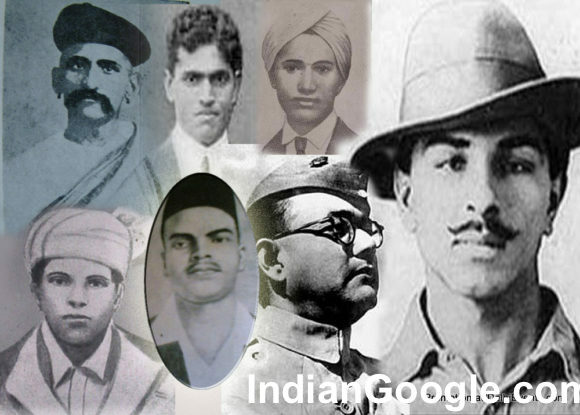 Batukeshwar Dutt images are seen in internet with other revolutionaries. Dutt was tried with Singh and Sukhdev and was sentenced to life imprisonment under Section 307 of the Indian Penal Code and under Section 4 of Explosive Substances Act by the Sessions Judge of Delhi. They were deported to the Cellular Jai in Andaman and Nicobar Islands. However, he was never guilty of his act and was always proud of what he did because he did it for his motherland. He along with is mates never surrendered themselves under the British officials as they thought that British doesn’t belong to India and they should go back to from where they actually belong. Dutt got contracted with Tuberculosis after his release from prison. He then participated in the Quit India Movement and was again jailed for four years in Motihari Jail in Champaran district of Bihar. He married Anjali in November 1947 after India gained independence. However, he was not recognized by the government and lived his rest of the life in poverty and away from political limelight. 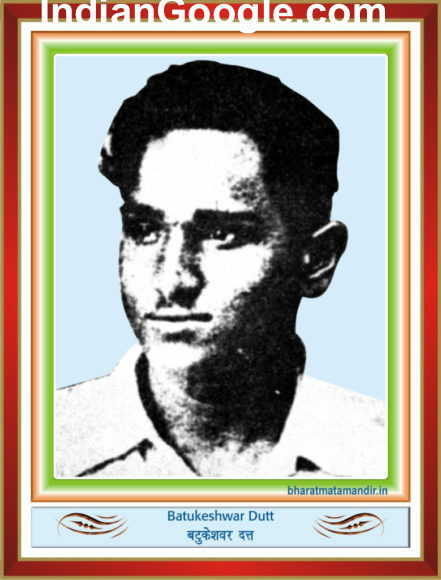 He outlived his comrades and died on 20 July 1965 in AIIMS hospital of Delhi. He was cremated at the same place in Hussainiwala in Punjab where his comrades were cremated long years back. He had a daughter Bharti Bagchi who was his only daughter. 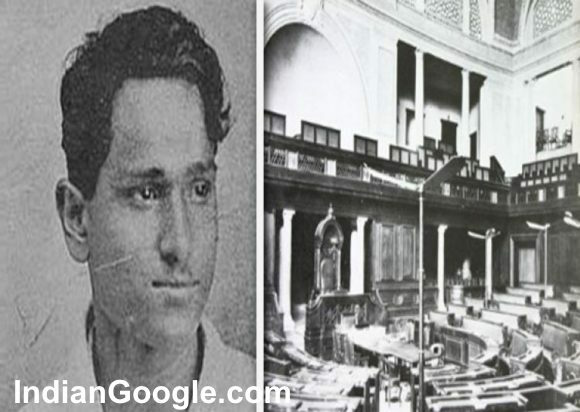 He was recognized later when a colony named B. K. Dutt colony was formed near AIIMS in NDMC area. 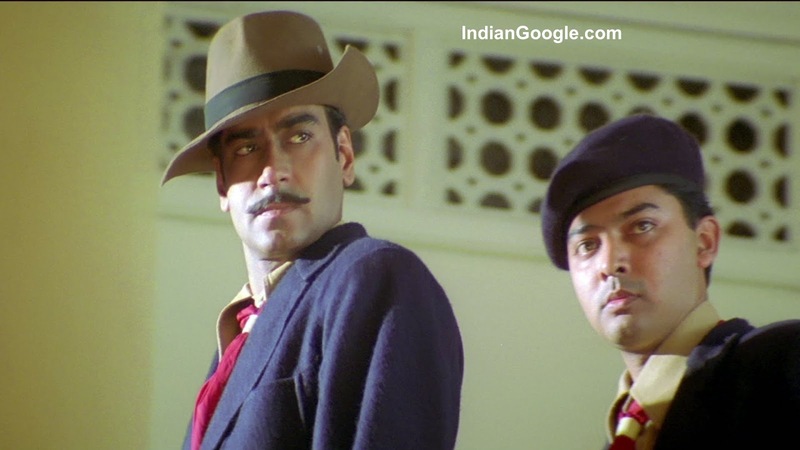 His role was also mentioned in the movie The Legend of Bhagat Singh. A book named Batukeshwar Dutt: Bhagat Singh ke Sahyogi was wrote by Anil Verma and was published on the centenary of Dutt’s Birthday. 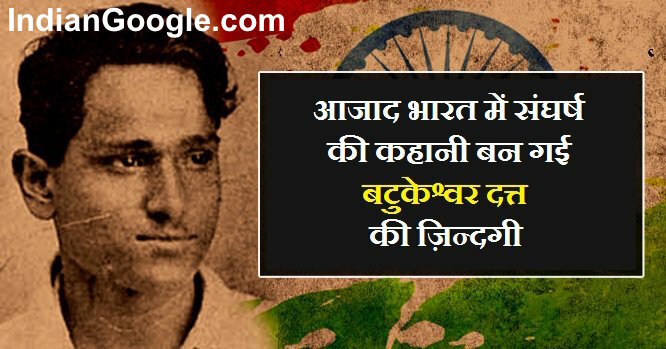 The internet has full detail about Dutt and you will also get Batukeshwar Dutt wallpapers as well. 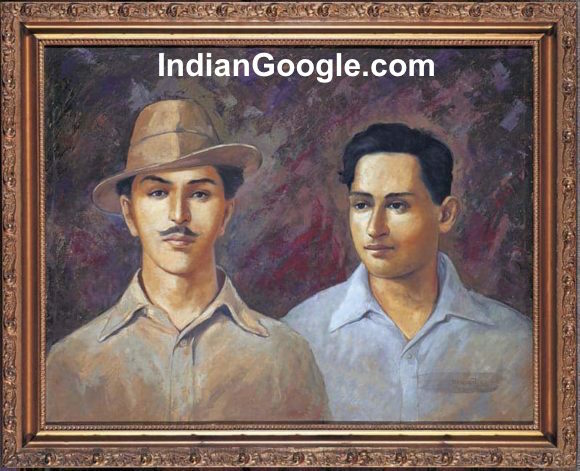 【20+ Bhagat Singh images】- Photos of Shaheed-E-Azam Download Now !